Arriving at Orlando International Airport can be a very exciting thing. After all, you are more than likely there to begin a glorious holiday, away from work and the day to day trials and tribulations of life. Many people arrive simply to get to the seaport of their cruise lines. There are quite a few visitors who hire Port Canaveral transportation from Orlando Airport so they don’t have to worry about driving in the traffic. It just makes life easier when you hire Orlando Airport to Port Canaveral limo services. It’s much more convenient than renting a car and driving yourself and your loved ones. 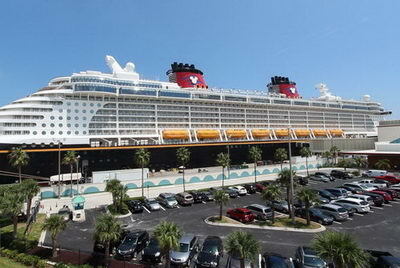 Luxury Transportation Group USA offers complete Port Canaveral transportation services. It can be very stressful trying to get around the Port Canaveral area, if you are unfamiliar with the roads. Even the best GPS can have you confused as to where you need to be, and in which late you should be driving. Rather than getting yourself lost and stressed, you should seriously consider using a company for Port Canaveral transportation services. This will eliminate the chance of getting lost, and you will surely arrive to your destination in style. Luxury Transportation Group USA offers Orlando Airport to Port Canaveral limo services. Luxury Transportation Group USA is the premiere provider of Orlando to Port Canaveral limo services. Their experienced drivers will have you at your destination promptly and free from stress. Call 407-476-0429 to reserve your Port Canaveral transportation services today.